The air we breathe, the skin products we use and the food we eat are just some examples of how toxins enter our body. Detoxing is the process of ridding your body of unhealthy toxins that we come in contact with during our daily life. Juicing fruits and vegetables is one of many ways to incorporate a detoxing process into your lifestyle. Juicing to detox does not always mean a "juice fast." There are two approaches you can take when using juicing to detox: either doing a juicing fast or incorporating juiced veggies and fruits into your daily diet. Juice fasting, although intimidating for some, is one the most exhilarating ways to see speedy results from detox and eliminate toxins quickly. They generally range anywhere from 1-7 days. Some results from juice fasting include increased energy, better sleeping habits, weight loss and much more. For best results, do these fasts at least 3 times a year. Research via the internet for a juice fasting regime that fits your needs. There are plenty to choose from. If a juice fast just seems out of the reach at this point, start by incorporating 1-2 juices per day. If consistent you will overtime see results, such as regular bowel movements, increased energy and get this my fellow naturalistas—hair growth! As with anything consistency is always the key. Three months of regular juicing to see these results. As mentioned before, juicing is great way to speed up hair growth because of all the vitamins and minerals we get from juicing. In my e-guide Juice My Fro I explain what juicing is and how to use it to aide hair growth. It encompasses a 30 days of juicing recipes tailored for hair growth. Here is a juice recipe from Day 3: Hair Energizer Juice. 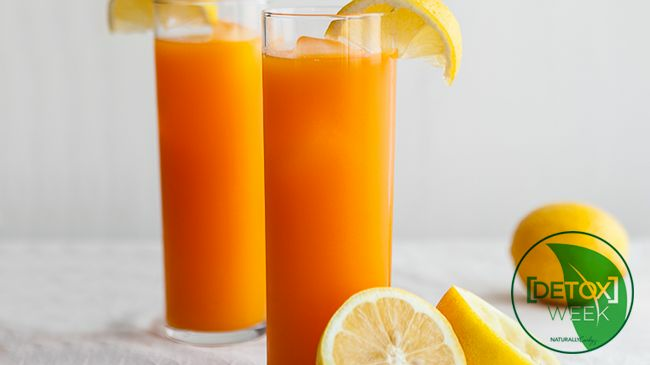 This juice will not only wake up your hair follicles but you as well. It contains cucumber, which is great for hair growth because of its high silicon and sulfur content. Sulfur an essential mineral building block of the human body. It is often referred to as the “beauty mineral” because it necessary for healthy skin, hair, and nails. Also included in this juice are alfalfa sprouts, which are rich in calcium, magnesium, folic acid and tons of other good stuff for the hair. Lettuce is considered an effective remedy for hair loss and is great to add to any juice for healthy hair. With summer right around the corner, it is the perfect time to implement a juice detox regime in your life and grow your natural hair at the same time! Happy Juicing Your Fro! For more juice recipes from writer CaSaundra Johnson, check out her e-guide JuiceMyFro.com.